Clyde Puffers were small utilitarian steamships designed to carry small cargoes around the coast of Scotland and England. Designed to be able to pass through the locks on the Clyde and Crinan canals they could typically carry about 100 tons of cargo. 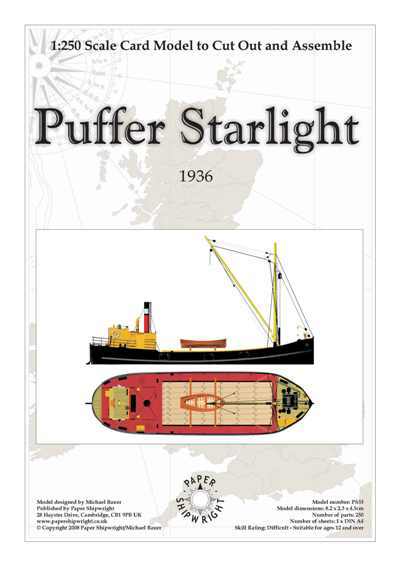 The Starlight was built in Port Glasgow at the Ferguson Brothers dockyards in 1936. She was eventually broken up in 1967. This model has been designed by Michael Bauer. 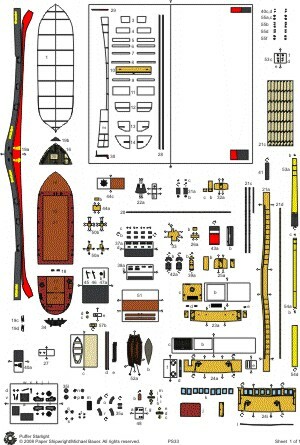 It is available in 1:250 scale or 1:160 scale.